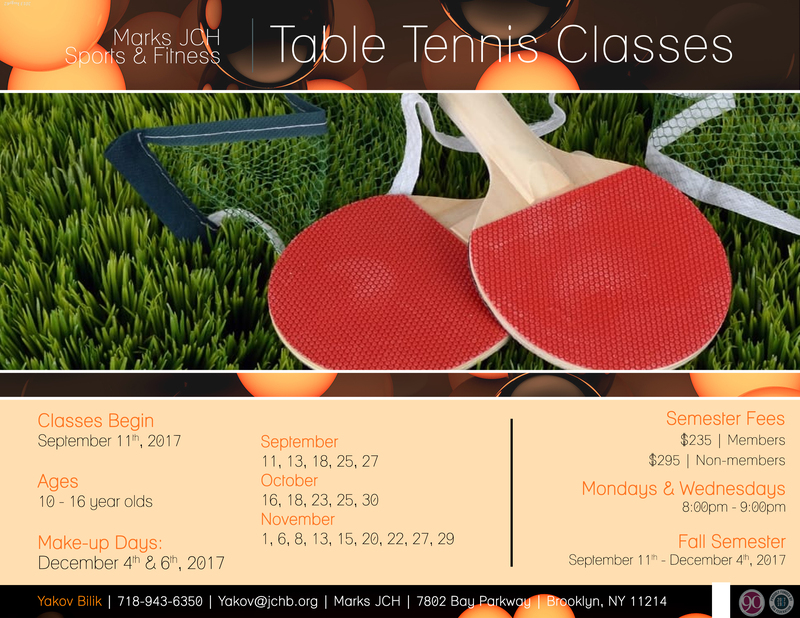 Table Tennis classes are offered for beginners and experienced teen players. Playing table tennis increases one’s agility and flexibility and hand-eye coordination. Players 12+ are up are invited to try out to represent JCH at the competitive JCCA Maccabi Games. Tuition is paid upon registration for each semester. All payments must be made in full at the time of registration. Each semester consists of 20 classes. Classes are 60 minutes long. Membership rates apply to Children and Family members. Please read our payment policies. * Membership rates apply to Children and Family members. Please read our payment policies.